We’ve been planning and designing the 2018 Floral Fashion Collection for months — and it will be unveiled this week in the June issue of Florists’ Review! 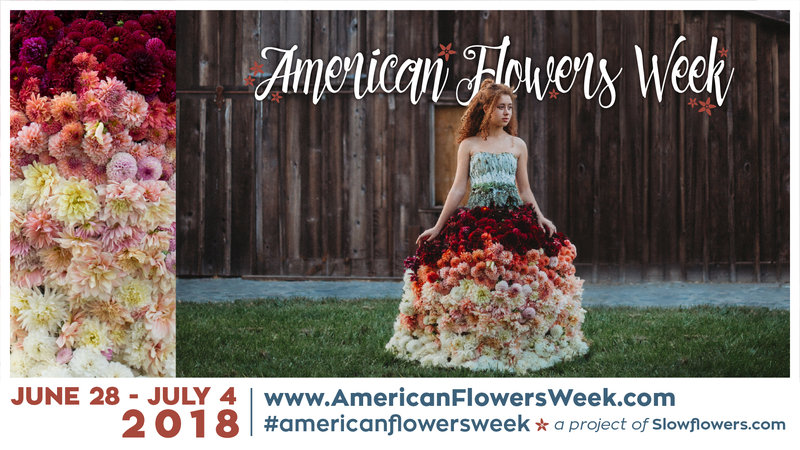 For the third year in a row, American Flowers Week has commissioned fashion-inspired looks featuring local, seasonal and domestic florals. For 2018, we have five fashion looks to unveil. It is amazing what the talented flower farmers and floral designers have conjured up this year and I’m so excited to be able to announce the participants and give you a preview of their creativity here. Grab your June 2018 copy of Florists’ Review to read more and see a full 12-page spread about American Flowers Week’s floral fashions. 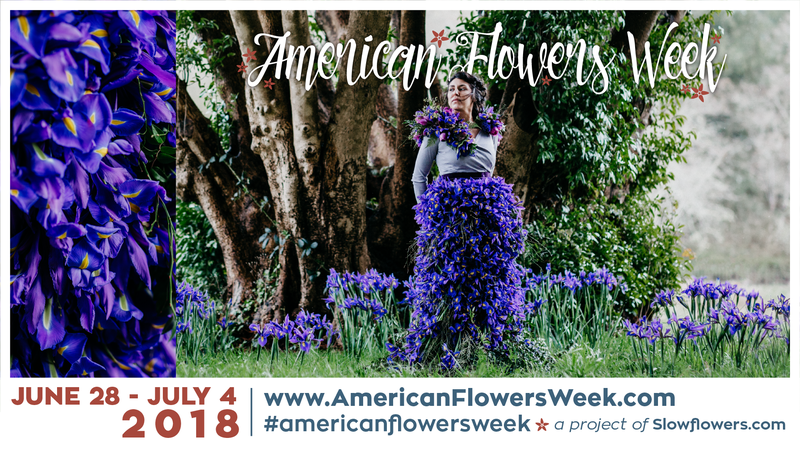 I’ll be sharing individual stories and more beautiful photos throughout June, leading up to the June 28-July 4 #americanflowersweek Celebration. Thank you to everyone who donated flowers, design time, photography and styling. 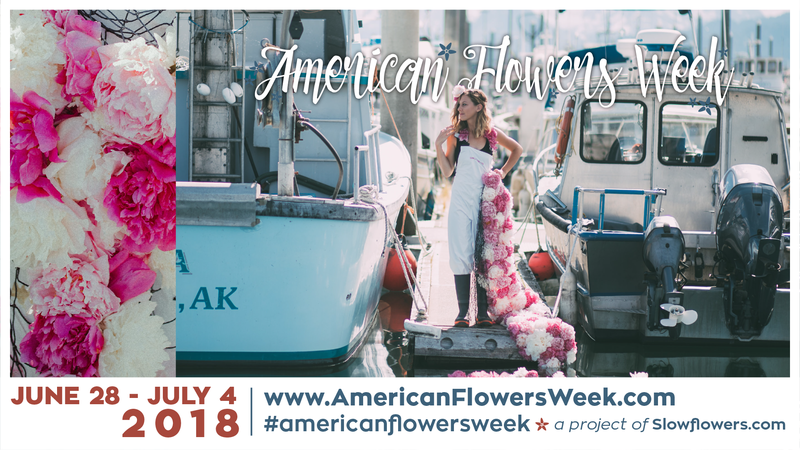 The impressive dream team behind these looks are not only talented but passionate about promoting American-grown flowers through their creativity! Let’s celebrate the five floral fashion narratives created for 2018 American Flowers Week. I can’t tell you how much it means to this cause — to elevate the public’s awareness and to engage the industry to CARE about domestic floral agriculture and sustainable, mindful floral design. 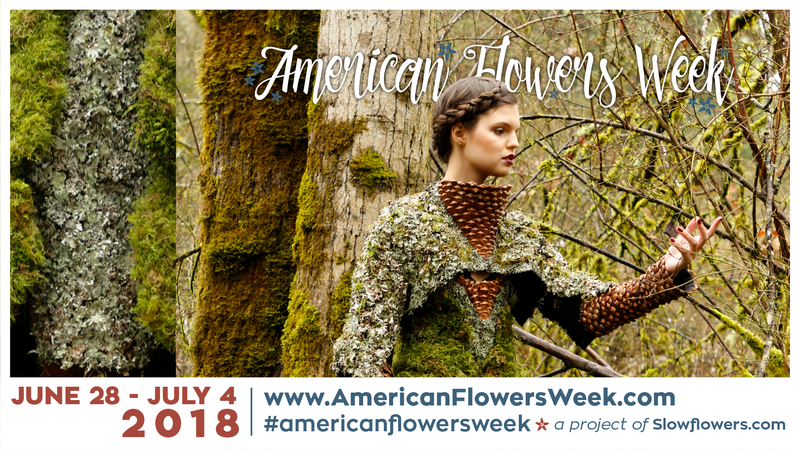 In its fourth year, American Flowers Week celebrates U.S.-grown (and foraged) botanicals with five fresh, inspiring and hand-crafted couture looks. Floral Palette: Tropical and temperate flowers, foliage and botanicals grown on Hawaii’s Big Island, including lantern ilima (Abutilon), Spanish moss, calathea leaves, fiddlehead ferns, ti leaves, cymbidium orchids, statice, snapdragons, dianthus, anthuriums, epidendrum orchids, hanging fuzzy heliconia, bottlebrush, fishtail palm, blue jade vine, crown flower, kalanchoe, foxtail agave, camellia, ginger, bougainvillea, bromeliad, pincushion protea and croton. 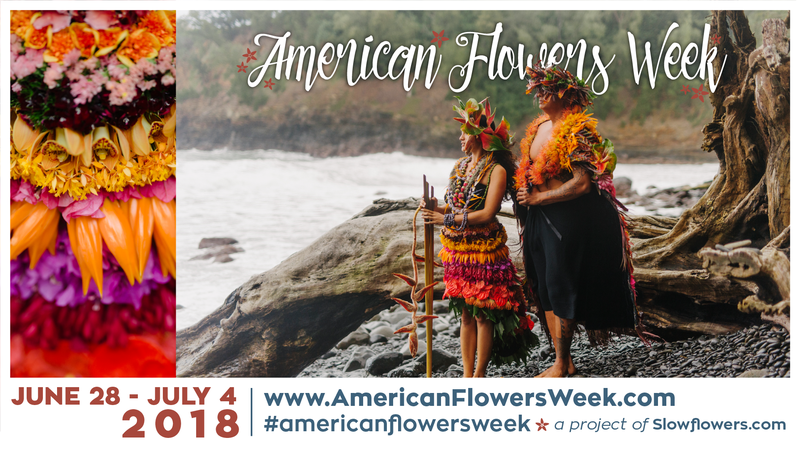 Florals supplied by: J&D Farms (Kamuela), Pacific Floral Exchange (Hilo), Hawaiian Isle Flowers (Volcano), The Orchid People (Kamuela), ESP Nurseries (Kamuela) and High Country Farms (Pa’auilo Mauka). 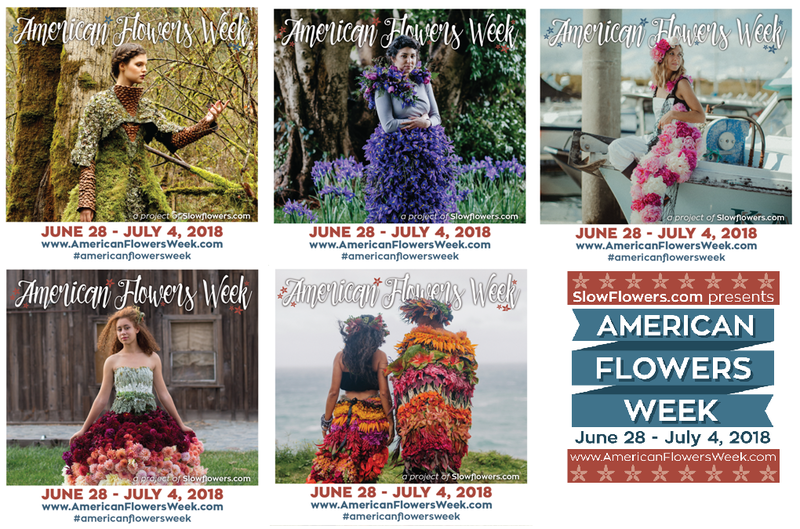 Download Social Media Graphics of all these Looks and show your support for American Flowers Week.